TOKYO NATIONAL MUSEUM - Collections The TNM Collection Object List Dragon-head pitcher. Gold and silver plated bronze. >> Dragon-head pitcher. Gold and silver plated bronze. 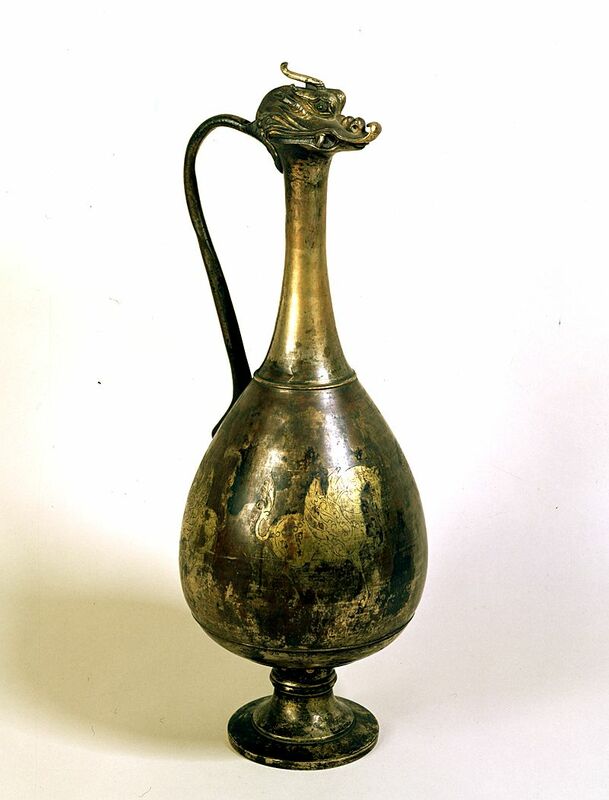 Dragon-head pitcher. Gold and silver plated bronze. Body D. 18.9, Overall H. 49.9.